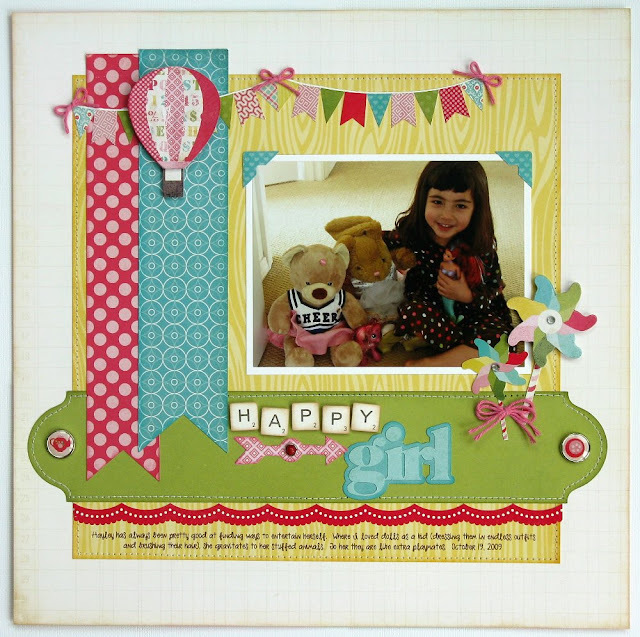 Today I have a new layout up on Lori Whitlock's blog using her adorable Sweet Girl Collection she designed for Echo Park. I thought for a slight change of pace I would try a layout where diecutting would take on more of a complimentary role to all the cute embellishments that come with this fun collection. With my addiction to diecuts I must admit that sometimes I have an adversion to stickers (particularly ones with a white border), but with a little fussy cutting I was able to trim the banner border and one of the pinwheels to fit my style perfectly. This line has so many adorable images. 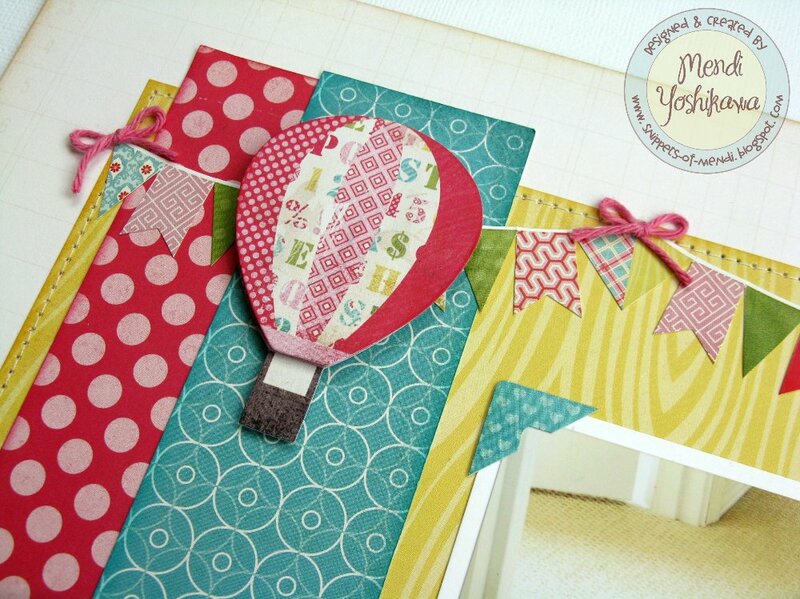 Love the dimensional hot air balloon! For my title I cut out the word "happy" from the patterned paper, inked the edges and popped the squares up with foam tape to carry out the Scrabble tile feel. The word "girl" was diecut using Lori's My Girl Titles cutting file. I also used her Banner Flag Set which I elongated by welding the pennant to a rectangle of the same width. To anchor my title I used an enlarged label from her 14 Labels set paired with a couple of darling brads from the collection. This layout is ADORABLE Mendi!! Love how you enlarged a label to go across the page...I would never have thought of that! SO cute!!!! Mendi your layout is just beautiful and you've certainly done justice to this wonderful collection. This layout is gorgeous Mendi! 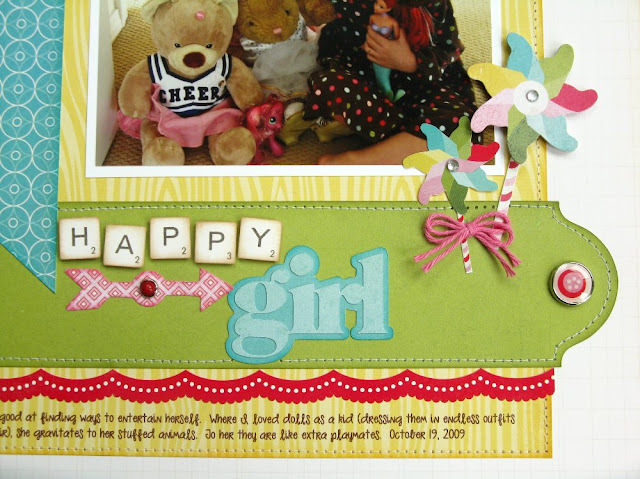 I love the fun colors in this collection and the die cuts are soooo cute. I love that hot air balloon myself! What a sweet layout! I love what you created with this collection!!! Wow, what an adorable layout!! I love the way you changed the label. Such a cool idea. Your work is always full of inspiration!! So adorable Mendi...especially love the cool pieced balloon and the fun colors!! !